Sausages are very import­ant in our house­hold; you can’t beat good old bangers and mash! So, which saus­ages do we like? 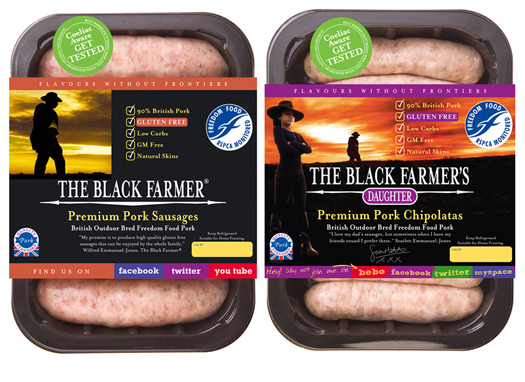 The Black Farmer’s Premium Pork Sausages and The Black Farmer’s Daughter Chipolatas are our favour­ites without a doubt. 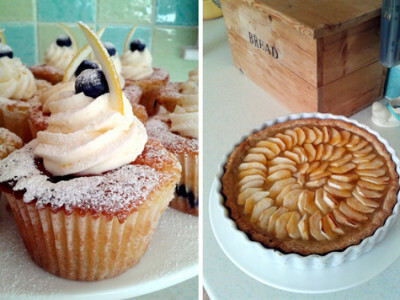 They taste abso­lutely deli­cious and that is com­ing from some very harsh crit­ics! Amélie abso­lutely loves the chi­polatas, in fact I know a lot of people who are not Coeliac but they prefer to eat The Black Farmer’s Sausages quite simply because they are good. Most super­mar­kets do sell Black Farmer saus­ages i.e. Sainsbury’s, Co‐Op and Ocado, although this is an online only com­pany. Believe me; they really are well worth going that extra mile for. In case of an emer­gency, i.e. there are no Black Farmer Sausages in the fridge,then we always have a packet of Tesco’s Free From 8 Thick Pork Sausages, or, Sainsbury’s Free From 10 Pork Sausages. Both of these products are kept and cooked from frozen, so, are ideal to have in reserve. They are both very sim­ilar in taste and price and are enjoyed by all the fam­ily. Amélie really likes both these products and due to their access­ib­il­ity, we are a house­hold that will never run out of saus­ages!